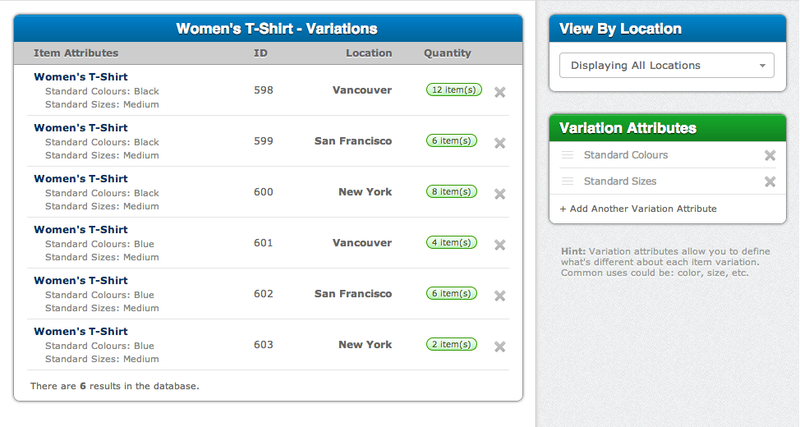 Breakdown an inventory item by attributes, such as size, color, and location. How many blue widgets do I have, in size small, at this location? Answering this question has never been easier. At a glance you can review how your item's overall stock levels are at each location as well as view a breakdown for how many of each variation you have at each of your locations. sizes, colors, weight, dimensions, material, power, styles, capacity, etc. Create all the attributes you need and use them on as many different inventory items as you like. 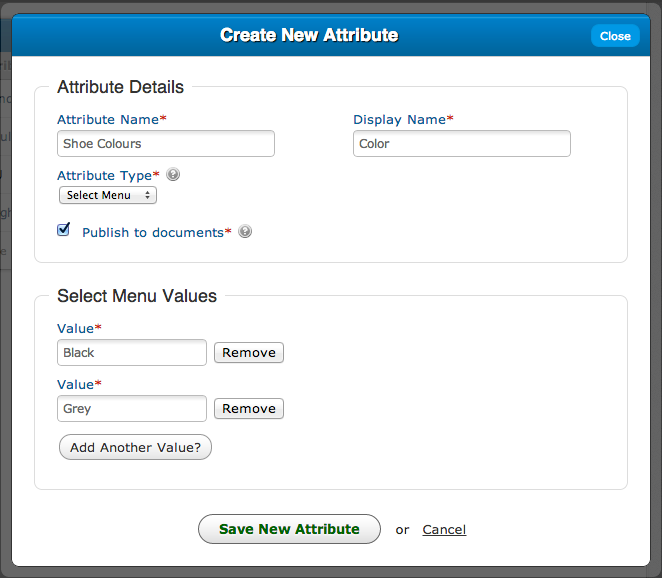 Setup your attributes as plain text, unique text, or even a pre-populated select menu where you can define what options are available.